We recently took our car into the World Class Auto in American Fork for an emissions check to renew our plates. Unfortunately, since our silly check engine light is on, we were denied. We were really impressed with World Class Auto for providing a loaner car for us in the meantime as they diagnose the problem. 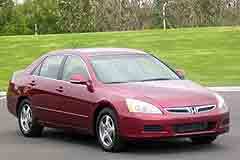 So we’ve been driving around a little red Honda Accord for the last couple days. Several times I have wondered, where’s my car? and walked right past it! Hopefully the check engine light aggregate will be something simple to fix. In the meantime, we’re definitely glad to have this little loaner car instead of paying out for a rental vehicle. At lunch on Tuesdays I visit my Toastmasters group, Olympic Orators, in American Fork (Sidebar – today I won the best Tabletopic – where you are given a topic on the spot to talk about in front of everyone for 2 minutes! The topic? Public bathroom experiences. I know, amazing). Today I found a parking spot half a block away in front of beautiful brick building with awesome foliage called Shade. On the way back, my curiosity got the best of me and I walked inside to see what it was. So flipping cute! You can visit them online at www.shadeclothing.com. Enjoy! I have recently taken up a new hobby – networking. Yesterday at lunch, I attended Toastmasters in American Fork and was astonished at what a warm and welcoming atmosphere I found. It’s a great arena to develop better communication skills, network and make new friends. I met an acupuncturist with Lotus Spring Acupuncture and am excited to get back into holistic healing again. Today I had breakfast with a motivated and talented group of individuals at BNI in American Fork. BNI’s philosophy is the “giver’s gain” in which business attend and give referrals to people within the group. There were a whopping 34 referrals that went around the table this morning – pretty impressive! They’re a great group of folks and I look forward to getting to know them better. A little shout out for one of my new BNI buddies – Justin Hackworth is a local photographer with a great eye – check it out! My jewelry company, Blue Bijou, is celebrating its birthday tomorrow and growing by leaps and bounds! This week, Blue Bijou can now be found at the Vie Maternity Boutique in Vancouver, Canada and The Avon Store in American Fork, Utah! For more details, please visit the Blue Bijou Blog! To celebrate, we are offering a buy one get one free promotion for online purchases! Simply visit our site for more details. UPDATE: Please note that blue bijou jewelry is no longer available through the Avon Store in American Fork. On the way home today, I stopped by Flour Girls and Dough Boys in American Fork for a visit and walked out with good, hearty bread bowls. These things have a good weight to them, not like the air-filled things you find in most bakeries. 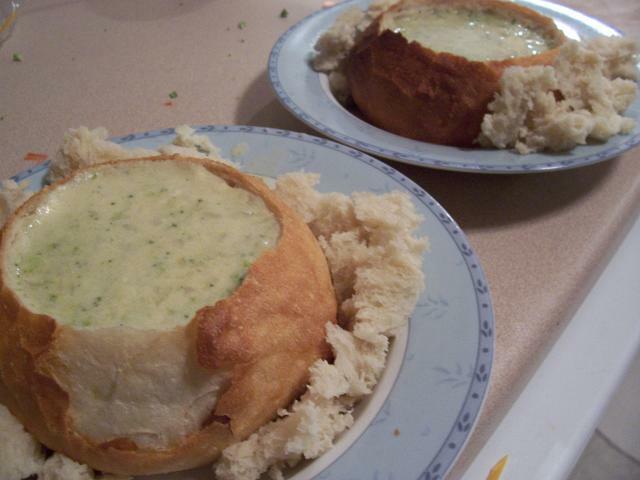 What else to put in a bread bowl than cream of broccoli soup? Delightful Tina from Flour Girls suggested to put the bread bowls in the oven to warm them up and make them soft again before serving. Tim made the incision and carved out the insides like pumpkins before filling them with thick, hearty soup. The All Recipes cream of broccoli recipe we made got a whopping five stars on all the reviews I read, so naturally, I had to try it. (click here for the recipe!) The aroma itself is delicious and I am anxiously awaiting to consume it. Signing off! I am extremely full and completely satisfied. Next time you’re in the mood for a heartwarming winter meal, I highly recommend this simple and delicious recipe. Women, your boyfriend/partner/husband will praise you for it. Though it’s only Wednesday, I feel in desperate need for a weekend, to turn off my mind and escape. It’s time to curl up in the living room with soft light, the fire place and Tim. 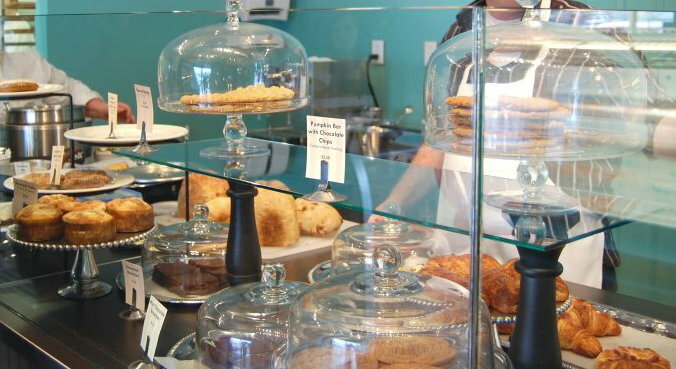 My new favorite place in Utah, besides my home, is Flour Girls and Dough Boys Bakery in American Fork. After driving past their sign every day for weeks, I stopped in one day when craving a cinnamon roll and was astounded. The aroma is evident the moment you walk in the room, the barrage of beautiful pasteries and breads to behold, and the warm, genuine people behind the counter are outstanding. Needless to say, I have been back every week since. Yesterday, I had some time before picking up Tim and stopped in to chill at the cafe. The girls, Kelly and Tina, were delightful and we had a pleasant chat as I was paying for my pumpkin chocolate bar with cream cheese frosting. I snuggled up in the corner next to the fire with a Real Simple magazine and my delicious pumpkin bar. Next thing I know I hear my name and Kelly is coming towards me with a cup of almond and raspberry steaming milk on the house! Then Tina comes to check on the flavor – what incredible consideration. My visit to the cafe made a great afternoon extraordinary. Photo credit – Tim. The sun dipped behind the clouds and the snow, being blown in the air, reflected the sunshine and this sensational photo is the result of this phenomenon.